Home » News » LRRS Monster Mash! Open and FREE (with costume) to all high school and junior high students in south Orange County! October 30th, 8pm – all ages. 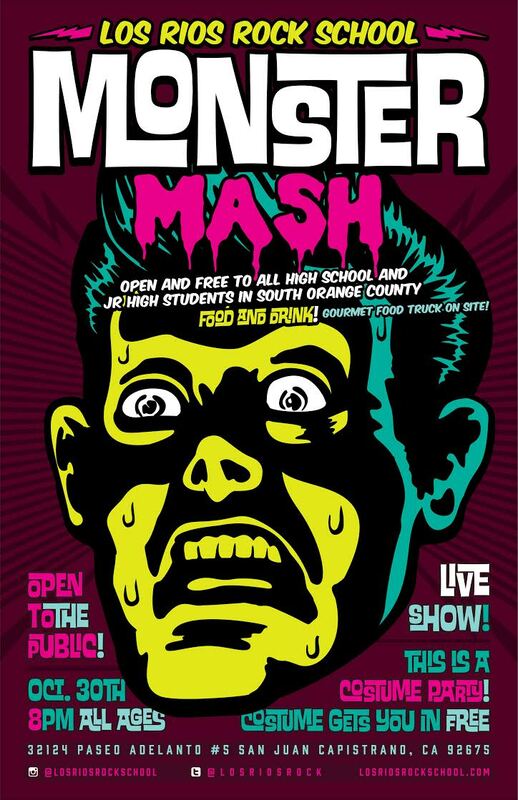 LIVE Show with Los Rios Rock School students performing and a gourmet food truck on site — come join us!